Ella Barclay, Summoning the Nereid Nerdz, 2015, projected looped video (5”12’, no sound) on water, acrylic, aluminium and electronics. Featuring Jessica Browne, Toby Gilbert, Elizabeth Macovaz. Installation view, UTS Gallery, November 2016. Photo: Joy Lai. UTS Gallery is a space in which creativity and technology meet. With a focus on diverse, innovative and interdisciplinary practices across contemporary art, design and social enquiry, we present a distinctive and dynamic exhibition program complemented by public events and publications. From our artist-in-residence program to performance evenings, UTS Gallery aims to challenge, inspire and engage, sharing ideas and elaborating on UTS research strengths. This year’s program has a focus on Australian artists through a series of solo and curated group exhibitions. Working across diverse disciplines from photography to experimental sound art, site-specific installation to traditional performance practices. A lively program of free events connects creative practice with academic excellence. 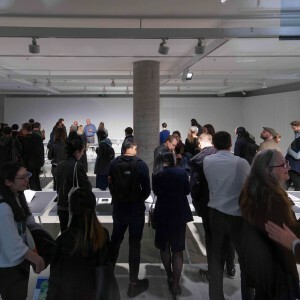 Developed in conjunction with the exhibition program, UTS Gallery events seek to further the ideas and questions raised by an exhibition through fun, relevant and engaging activities. 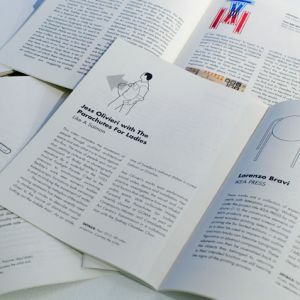 We produce printed and online publications to accompany most exhibitions. Gallery publications contextualise our exhibition program with commissioned texts as well as contributions from UTS staff and students. 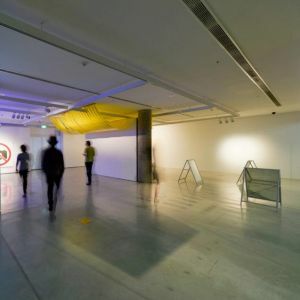 Find out more about holding your next event at UTS Gallery. We are now inviting proposals for 8-week exhibition slots in our 2019 program. Our annual exhibition program incorporates curated, solo, and collaborative exhibitions with a key focus on socially engaged and critical art and design practices. Opportunities to support UTS ART, including cross-promotional relationships, in-kind support and tax-deductable donations.